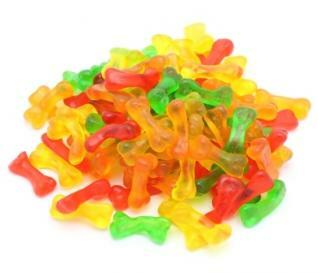 Throw your customers a bone with these glistening, translucent gummy treats. Our miniature bones are definitely not for the dogs even though they are in the shape of your canine’s favorite treat. 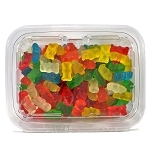 In flavors of lime, orange, lemon and cherry, these mouthwatering candies give a very firm chewy bite. With flavor like this, we guarantee that no one will be burying these bones.